Berlin has developed a reputation as a well-run modern city where other Northern Europeans come to spend money in ultra-modern shopping malls known for high-end designer boutiques and peruse the pervasive art galleries. So many world-famous artists have established footholds in this popular world capital it has become a mecca for the arts with expanding art schools promoting experimentation and a culture of forward-thinking youth. The first reality that hits you upon arrival in this very attractive Northern European city is its ‘newness’. It is not in any way, ‘old world’. There was so much destruction from WW 2 that the Germans destroyed damaged buildings or totally rebuilt historical buildings and churches adhering to the original designs in every detail. Berlin is a beautiful city filled with tree-shaded wide boulevards interspaced with large plazas displaying sculptures, fountains, buildings of historical significance and the ubiquitous cafes. Berliners love to sit in a café, have a wine or beer and indulge in lively debate. A perfect example of a great place to meet would be the most elegant Gendarmenmarkt Platz that incorporates three enormous historical buildings, a concert hall twin churches and several cafes. Anyone having read WW 2 spy books set in Berlin are familiar with the Tiergarten, Europe’s largest metropolitan park. It runs two miles from the Brandenburg Gate to the Bahnhof Zoo. Originally the hunting grounds of the elite Prussian royalty, today Berliners use the park for picnics, jogging, biking and entertaining children. This bucolic setting of meadows, lakes and paths lined with large, leafy trees provides Berliners with the perfect respite. As you approach the eastern end of the Tiergarten, you taken aback by the sight of the infamous Reichstag building because of its enormity and its unusual design. Originally built in 1894, the Reichstag has been involved in many momentus occasions in German history. In 1991 (after Wall came down), it was determined that the government would be moved from Bonn to Berlin and the Reichstag would be the seat of the German Parliament (Bundestag). The building was redesigned to include a very contemporary glass dome at its top. When you leave the Reichstag and walk a long city block, you reach one of the most iconic sights of Berlin, the impressive Brandenburg Gate. Originally built in 18th Century, it was the most beautiful of Berlin’s gates. Today it has become a symbol of German re-unification and peace, but no one can forget that during the Cold War, the Gate symbolized division and suppression. As you walk through the Brandenburg Gate you find yourself on the historic and attractive 'Unter den Linden' Boulevard, which is, of course, lined with Linden trees. This boulevard at the Spree canal is where you can catch a boat to Museum Island. All of the guide books agree that the museums of Berlin are not to be missed and their collections are some of the best in the world. 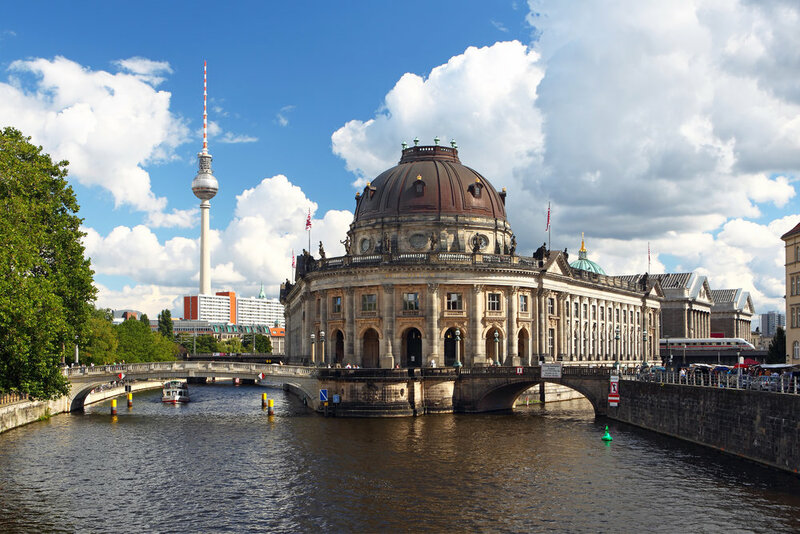 Five of the best museums are conveniently located on Museum Island in the middle of the Spree Canal that flows through the middle of Berlin. Along with being an island of incredible treasures, Museum Island is an important historical venue as well. This island is the very spot where the city was founded in the Middle Ages. 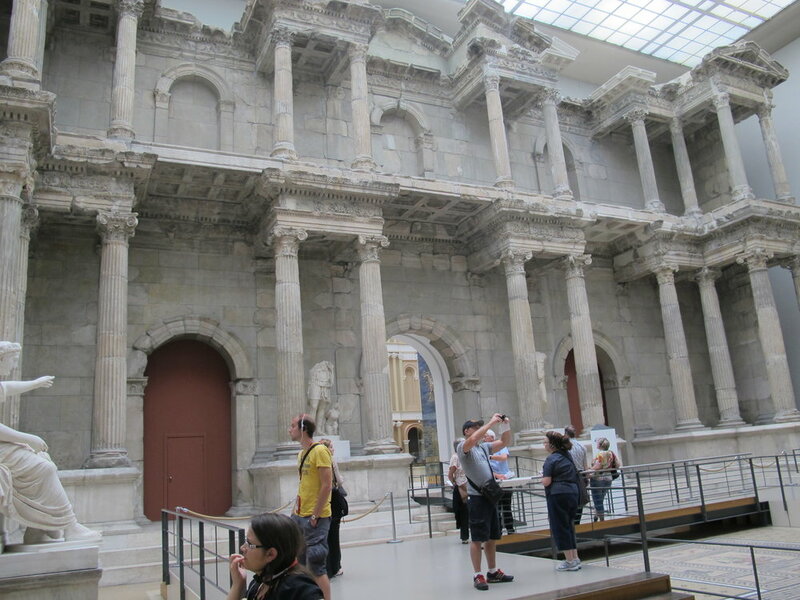 The Pergamon Museum was built to house reconstructed monumental buildings from various parts of the world. The massive Pergamon Altar from Asia Minor built by the Greeks in the 2nd Century BC is over 120 feet wide and 110 feet deep. The Gate of Miletus built in 2nd Century AD by Romans (Hadrian) stands over 100 ft. wide and 50 ft. high. After you are overwhelmed by the Greeks and Romans you come to the amazing Ishtar Gate that is sheathed in cobalt blue tiles, built during the reign of Nebuchadnezzer II (500 BC). No trip to Berlin is complete without a look at the infamous ‘Wall’ and ‘Checkpoint Charlie’, so we had our look as well. Although most of it is gone, they retained small segments for historical purposes. One long segment of the Wall is the East Side Gallery where artists from all over the world were invited to express their reactions. 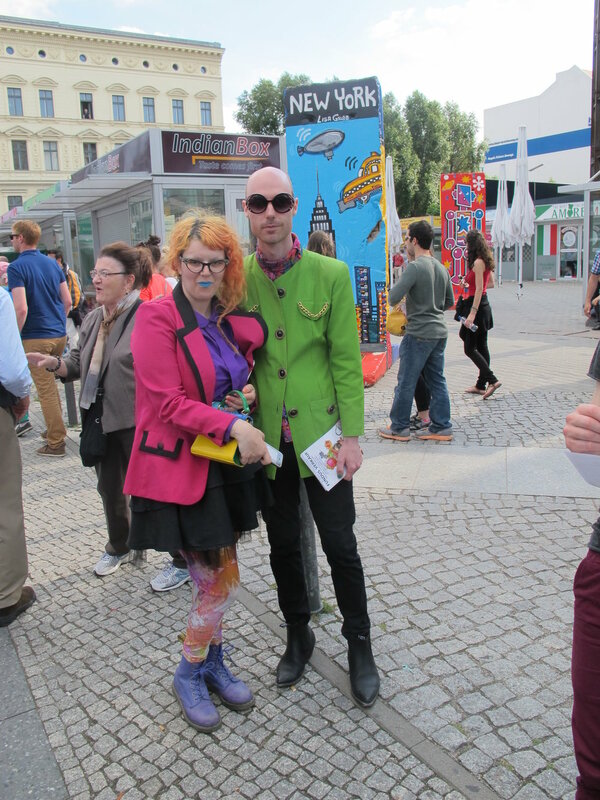 Berlin is a modern, vital and beautiful city that makes you feel comfortable and safe while offering a wide range of entertainment.